Located in the Konya district of Seydisehir, Tinaztepe Cave is the longest cave in Turkey and the third longest in the world. The cave is 22 km long. Best time to visit is in Turkey when the water level decreases and the gallery can be explored by foot. Every traveller wants to quaff the water gushing from the mouth of Pinargozu Cave. Pinargozu Cave with its 12 km length is favorite of the researchers. It is on the northern side of Dedegol Mountain and in Caydere forests. The depth of 720 meters between the beginning and the end of Pinargozu which is within the borders of Kizildag National Park makes it the longest cave and third deepest cave in Turkey. Peynirlikonu Cave is one of the deepest caves in Turkey. It is in the southern region of Anatolia, on Taseli Plateau and is -1429 meters deep. Located in the south of Anamur, 46 km distance and 1880 meters height. It was found in 1990, this cave is the deppest cave in Turkey. According to the last research, researchers went down 924 meters. Researches are still continuing by the cave researchers and according to researches the cave is the world’s second biggest cave. Located 30 km outside Bursa’s Inegol district, Oylat Cave comprises two connected floors. 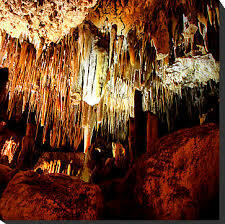 The cave is famous for its colorful stalactites and stalagmites. The cave’s length is only 650 meters. A lot of bats have their home in the cave. Taking photos is forbidden in order not to scare the bats. The cave is located inside the area of Oymapinar Dam at Manavgat District, in Antalya. The cave has developed horizontally and is an active cave with a total length of 7 meters. The water level inside the cave rises in spring. The cave is entered through the fossil inlet located at the upper part, and after 100 meters water is met. After the first 100 meters, it is possible to go by creeping for 400 meters, a siphon of 10 meters exists. This cave is the Turkey’s second longest cave. Its siphons, areas of crippling, lakes and funnel of 80 meters are the characteristics, or perhaps the most exciting aspects of the cave. Inalti Cave starts with a wide and high entrance end this property continues about 400 meters. The cave has 6 meters width, 25 meters height and expands as a big tunnel. There are travertine formations and various sized stalagmites at first 400 meters. The total length of the cave is 700 meters and the section after 400 meters is covered with water and mud. The cave, with the total length of 2500 meters has the highest point at +101 meters in respect to the cave entrance. It is a horizontal and partially active cavern. Altinbesik Cave is one of the most beautiful caves of Turkey. The karstic topography of the environment and the pine forests exhibit a marvellous spectacle. The cave is at the exit end of a very long and big underground system. This underground water system with a length exceeding 100 km is one of the longest and biggest karst systems of the world. The total length of the cave is 357 meters and the cave is horizontal and dry. There is only a quiet small lake towards the end of the cave. Dim Cave is one of the most beautiful caves of Turkey. It is suitable for a visit as is at the vicinity of Alanya and as the environment is covered with forests and picnic sites. Because the cave was used as a shelter by prehistoric and historic periods, the cave was called as Gavurini Cave by the local people. Damlatas Cave is one of the world’s most famous caves. 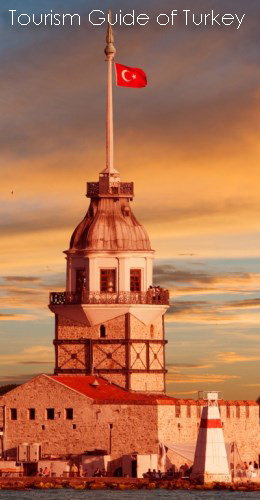 It is located at the coast of Alanya, 3km away from the city center. The total length of the cave is 30 meters and is dry ve horizontal. It covers an area of total 200 meters The cave is 15 meters high and has a marvelous vision formed by numerous stalactite and stalagmites. With the carbon dioxide gas, high humidity, low temperature and radioactive atmosphere, the cave is extremely beneficial for asthmatic patients. The total length of the cave is 597 meters and is a horizontal and dry cave. From the formation of stalactite and stalagmites from limestone sedimentation in various shapes and structures, it is assumed that the cave was formed thousands of years ago. There are 9 lakes of various sizes inside various galleries leading to different directions. There is a cool and clean air circulation inside the cave. It is believed that some of the cave waters are curable to diabetics and some stomach diseases. The cave is located inside the borders of Ayva village of Bursa. Except entrance section, the cave is horizontally developed. There are two entrances to the cave. Entering the cave from one point and leaving the cave from another is possible. Just at the entrance of the cave, there is a vertical downward descend of 17 meters are shallow enough to pass. The cave is at 63 km southwest of Mersin and 22 km away from Silifke. Reaching to the Narlikuyu Bay is possible by the asphalt road of 1800 meters on Mersin – Silifke coastal road. Cennet and Cehennem Pits are two shafts formed by the collusion of the upper level of a same underground system. Descend down the pit is possible via a stair track from Roman period. There are ruins of a Byzantium church at the west edge. This cavern is inside the borders of Yagca Village which is at 30 km northwest of Antalya. The Karain cavern which is one of the greatest natural caves of Turkey is 150 m high from the travertine valley and 430–450 m. high from the sea. The archeological findings discovered during excavations inside Karain Cavern are displayed at the museum of Antalya and at the Karain Museum which is just near the cavern.